Actually Rudolf needed a little extra help....sooo we came to the rescue. Our Displays can be customized for you.........click to see more photos. Bet you don't have one of these! 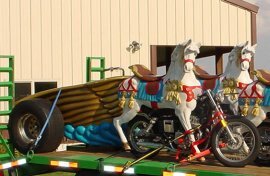 This is a customized double motorcycle chariot made for the Rose Bowl parade circa 1986-7. 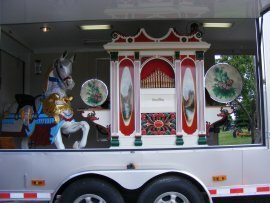 Two full-sized fiberglass Carousel Horses and a Chariot. Click for more details and photos. 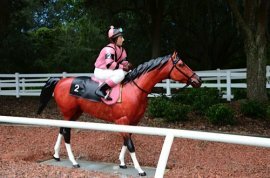 We have several Horses available to enhance your Kentucky Derby Party. 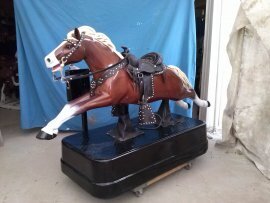 Theses horses are for display purposes, not to ride on. Call for more information and rental or purchase prices. Please click for more photos. Please call for pricing 352-669-6449. 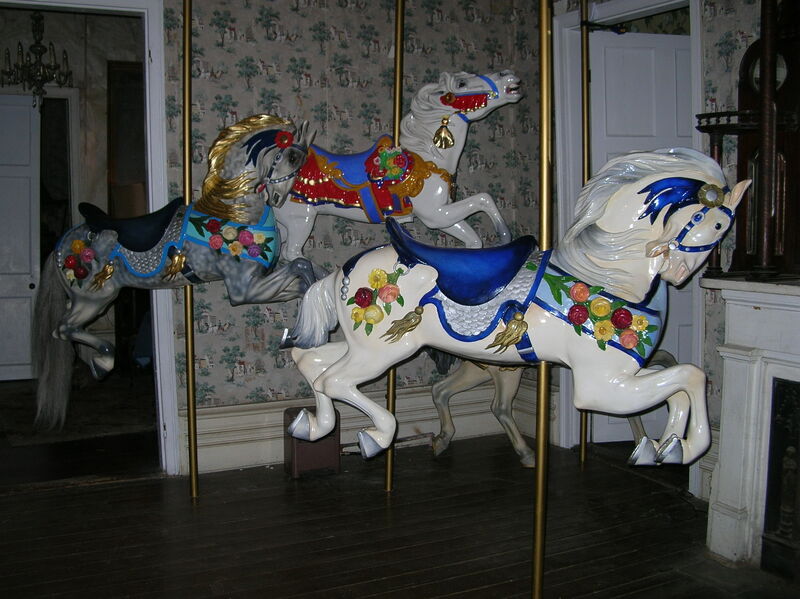 This is a set of 4 Carousel Horses from the new Iowa State Fair Museum. All 4 are Dentzel Prancers (reproductions). 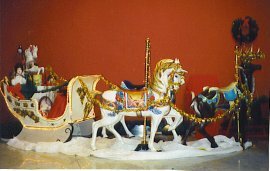 Click to see other Photos, the second photo shows several of our horses on display for the History of the Carousel in Delray Beach, FL Museum.